AstroDigital.Net for iPhone (iOS) - Laboratory version, not publicly available. An iPhone (iOS) implementation for visual calculations only. It has been developed in Objective-C/ Xcode as a native app for the iPhone. It offers a modern user interface and beautiful graphics. However, this app is not available for public use. Please, get the free .NET version instead. 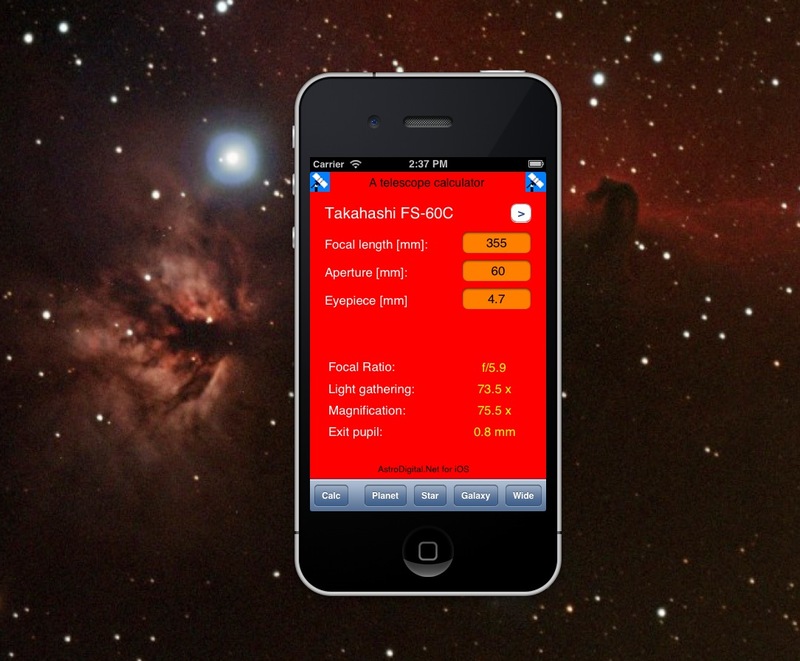 "AstroDigital.Net for iPhone (iOS)“ is freeware. App not available for public use. This is the running app on the iPhone simulator. 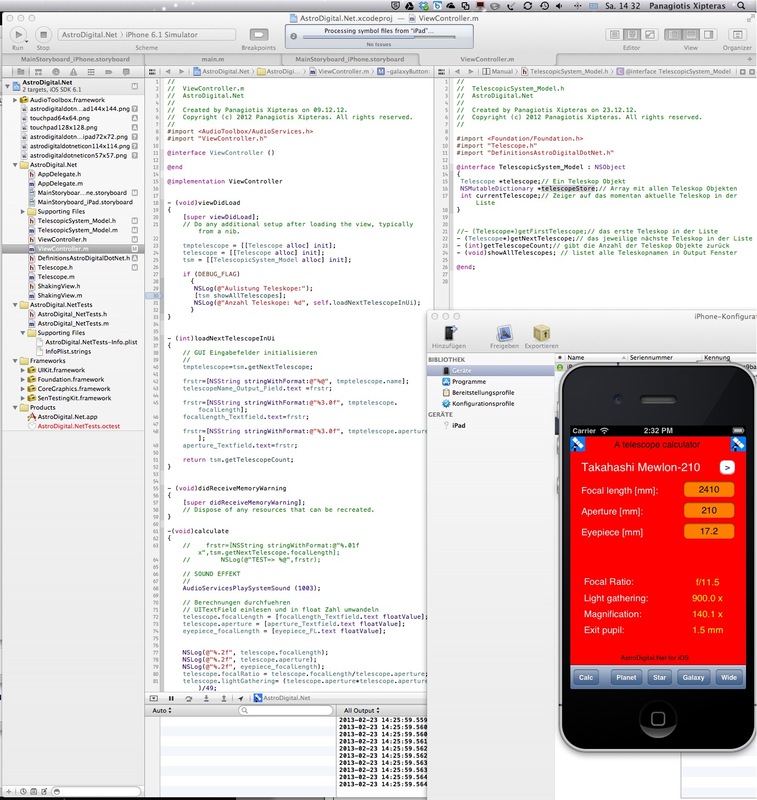 This is Xcode, the development environment of the iOS version. You see some parts of the source code in Objective-C language, the project structure and the running app on the iPhone simulator.